I am so happy to announce the release of a book I co-authored titled The Unofficial Guide to Learning with LEGO®: 100+ Inspiring Ideas. 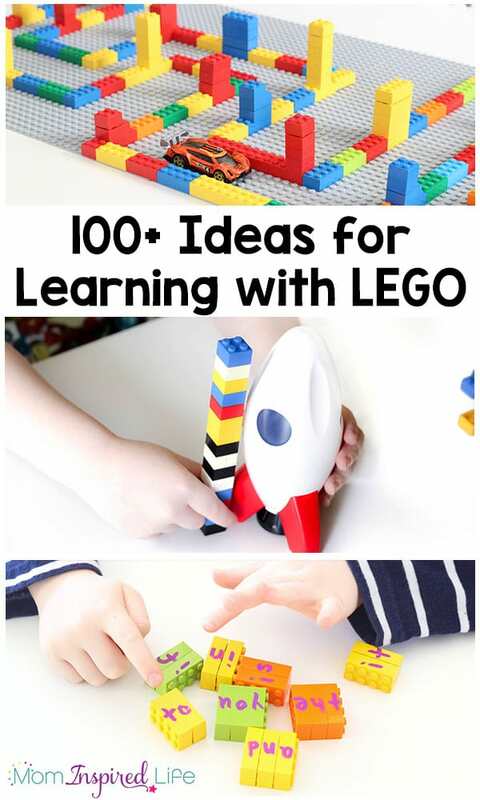 It is jam-packed with tons of LEGO learning ideas your kids will love! It’s so crazy where this blog has taken me. Today I am announcing a book I co-authored. Someone pinch me. 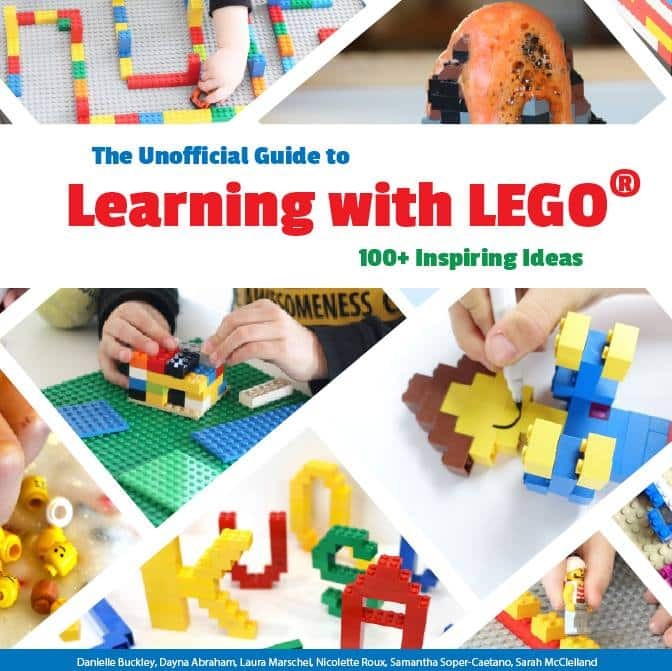 It has been a year in the making and I (and the other authors) have poured so much into making this LEGO book an amazing resource for you and your kids. 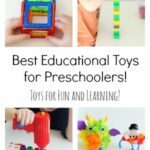 It includes 102 unique LEGO activities that use imagination but also develop early learning skills! 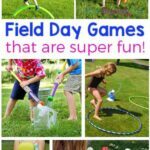 Skills such as literacy, mathematics, science, fine motor, design and engineering are super important for kids to engage in today. 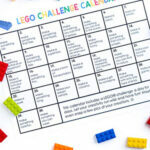 Why not make it easy and fun for them to do so by adding LEGO to your learning activities? 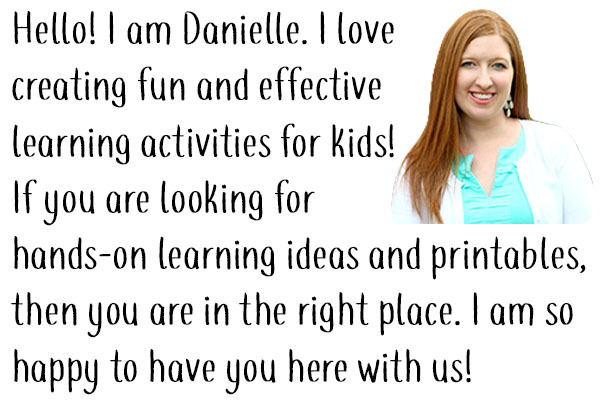 Equal parts learning and play will truly make a difference in your kid’s love of learning. 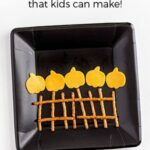 We love LEGO and hope you do too! 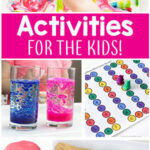 All the awesome LEGO activities you will find in the book are kid tested and approved. Not to mention mom tested and approved too! 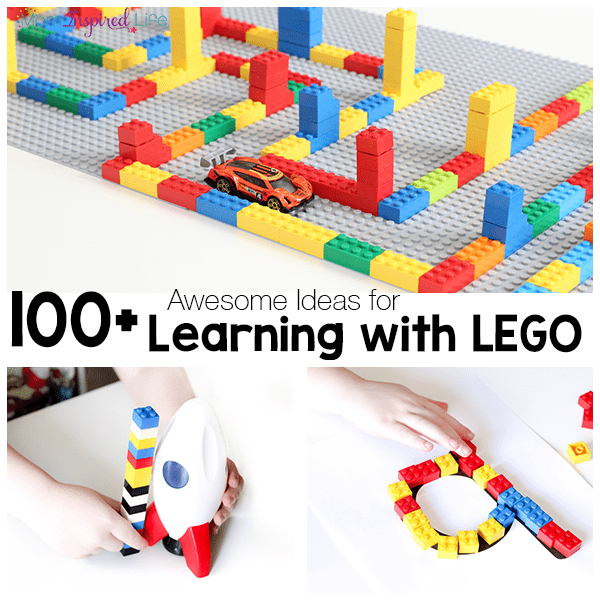 You don’t need a huge or fancy collection of LEGO pieces to get started with our ideas. 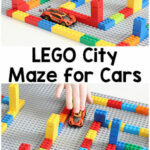 You just need to bring along your imagination and love for everything LEGO! Let your hands and mind do the rest. 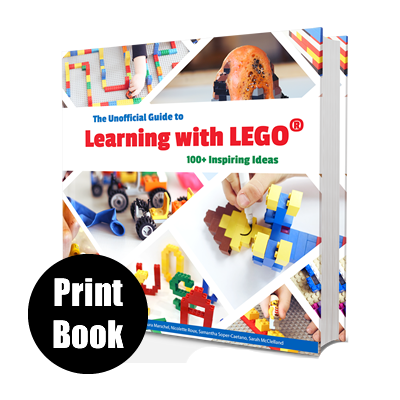 We think you are really going to love the Unofficial Guide to Learning with LEGO® because it’s just plain awesome. Plus, as we know, everything is awesome! Don’t miss out! This book is already been named a #1 New Release by Amazon in Model Building!